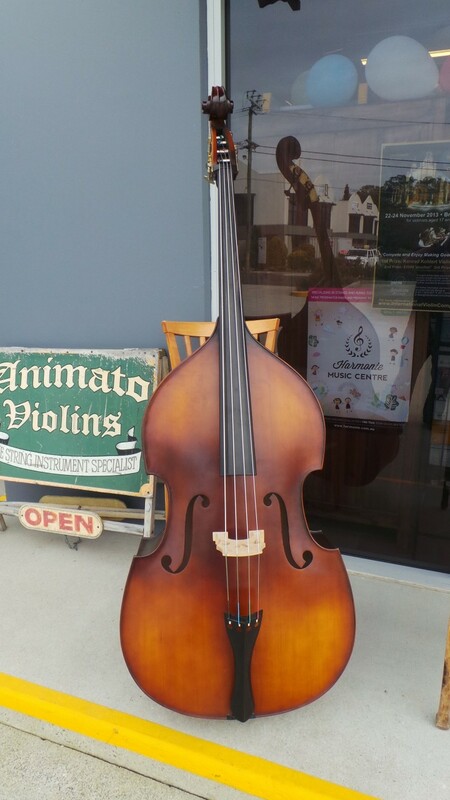 The Arco is Animato Strings' great sounding entry level double bass. It is made of high quality plywood. It is fitted with an ebony finger board. It comes with a good bow, Nyman rosin and a padded bag. Please note that the discount structure for the Arco range is not as substantial as the bulk discounts for any other products on this site due to extremely low retail pricing for the Arco. Available double bass sizes: 1/8, 1/4, 1/2, 3/4. AFTER clicking 'Add to cart,' please adjust the quantity to match the total number of ordered Arco basses.